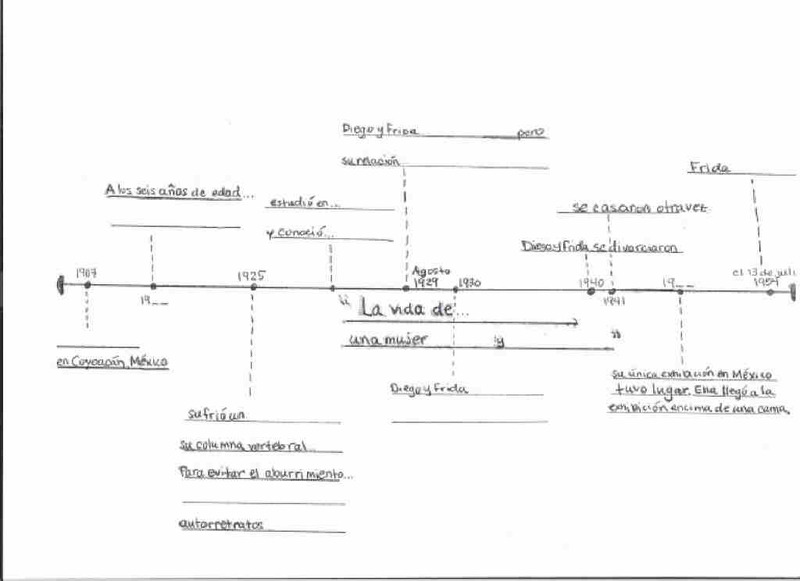 *Using this timeline I created, in accordance with a short biography of Frida Kahlo, my students filled in the blank spaces with important events in Frida's life. This lesson was useful for the inclusion of various cultural aspects, practice of the preterit and imperfect tenses, the preterit of the verbs "ser" and "ir", and one area where many students have trouble: large numbers. For example, being able to correctly say, in Spanish, the year in which an event occurred.